When it comes to all things active, Chief Performance Officer Ginger Ressler is our immediate go-to! Before we even think about releasing a new style, Ginger puts it to the test (quite literally) to make sure it lives up to its full performance potential. So, naturally, Ginger was instrumental in the development of our PowerForm leggings. Designed as part of our Power Series—also including PowerHold and PowerLite—PowerForm changes the way we think about leggings (and the way you work out). To get the scoop, we spoke to Ginger about why PowerForm is such an innovation and how she put every single piece through its paces. Hey, Ginger! Can you tell us why Fabletics created PowerForm? When we were developing our Power series, we were thinking about all the possible ways that women like to wear leggings (and there are a lot)! From high-intensity training to long-distance running, to going to and from the gym, work and home. For every activity and occasion, there’s a different way that you want to feel—super supported, free to move or even like you’re wearing nothing at all! PowerForm really feels like a second skin; it’s super soft, lightweight and moves flawlessly with your body. For us, it was the perfect complement to PowerHold and PowerLite—something so comfortable that you don’t feel like you’re wearing leggings. In fact, you don’t feel like you’re wearing anything at all! What makes PowerForm Leggings so special? It took a ton of time and research to get the balance of softness, support, stretch and recovery just right. 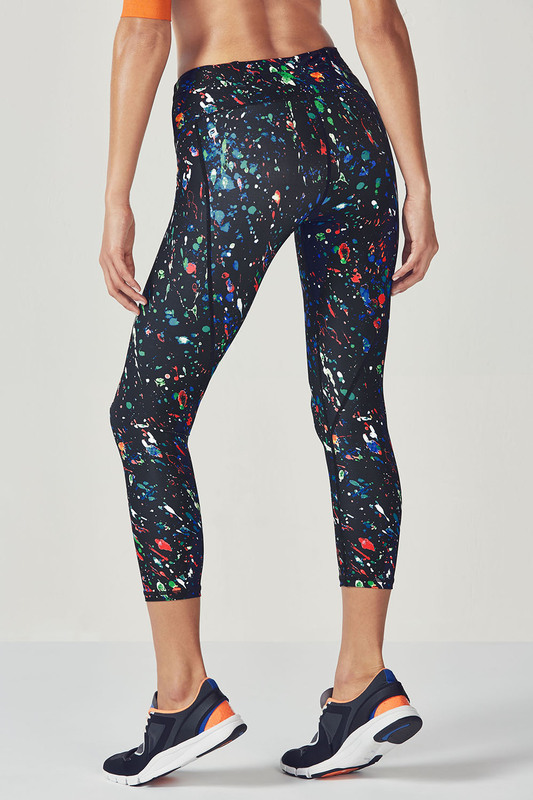 We really think they are revolutionary because they offer all the incredible technical attributes you expect from Fabletics, but just feel so soft, comfortable and light. Honestly, you just have to try them! Also, when you can move freely and not feel held back in any way, it really does transform the way you move—it allows your natural abilities to shine. I feel like a superhero when I wear mine! How did you test out the leggings yourself? When I wear-test anything, I always come at it from a high-performance perspective but for these leggings I also wanted to make sure they were comfortable and functional for lighter impact activities. So in addition to running, rock climbing and strength training, I practiced a lot of yoga flows, deep stretches and even dance routines to make sure the fabric was supportive without inhibiting movement, offered full coverage while feeling lightweight and never needed to be adjusted. Anything that distracts you from your workout is a no-no, so I wanted to get to a place where I could completely focus on what I was doing and not what I was wearing. That’s when I knew PowerForm was a winner! How is PowerForm different from the other Power fabrics? I like to think of all our Power fabrics as enhancing different abilities (that superhero feeling again)! PowerHold just makes you feel 100% supported so you can take on anything and know you’re covered. PowerLite enhances airflow so you can breeze through really tough workouts. PowerForm is the one that feels like you’re not wearing anything so it’s perfect for things like yoga and Pilates, which are so focused on flexibility and freedom of movement. Which workouts would you wear PowerForm for? Definitely yoga. I can’t tell you how much it’s enhanced my ability to conquer tougher poses. Right now, I’m also really into wearing PowerForm as my day-to-day leggings. Since it’s summer and I’m running around doing a million things, they keep me cool and super comfy all day long.